The Agent shall introduce delivery & logistic business to the Company and to no other company of same nature without the Company’s prior written consent. The Agent agrees that he will at all times perform all his obligations under the terms of this Agreement with the highest degree of integrity and will act in such manner to the Company so as not to diminish the reputation of the Company. The Company accepts no responsibility for the remuneration of any person who assists the Agent in the production of business, such remuneration being entirely a matter of negotiation between the Agent and the said such person. The Agent shall not delegate the performance of his duties to any such person nor shall he appoint sub-agents. The Agent hereby further undertakes to comply with and abide by all Resolutions, Rules, Agreements, Terms, Conditions, Policy and Guidelines issued by the Company and in the event of the Agent failing to do so, the Agent hall be liable for all consequences including any fines that may imposed, arising thereto. The Agent shall not institute any legal proceedings whether in his own name or in the name of the Company against any person in connection with any matter relating to the business of the Company without first having secured the written permission of the Company. 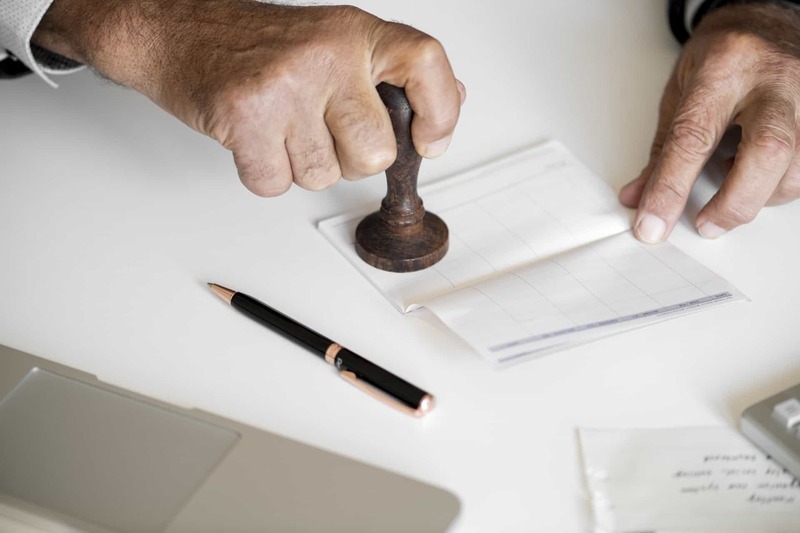 The Agent is not authorised to collect any cash from user purchase of logpoints (the Company’s credit points), in exchange for the Company’s prescribed conditional receipts or temporary receipts. The Agent shall procure proposals for logpoints purchase on the Company’s website or printed proposal forms only and all proposals received shall be forwarded to the Company immediately. The company reserves the right to investigate or reject any business submitted without having to give any reasons whatsoever for such action instituted. Any decision of the Company shall be final. It shall be the responsibility of the Agent to deliver any orders not accepted by GoLogers (Golog Drivers) within 3 hours’ time from the time on which the order is posted by User. The Agent is required to maintain the acceptance rate of the orders posted by Users. It is up to the Company’s decision to deduct any commission for a low acceptance rate below threshold. The Agent shall render to the Company full information regarding all transactions entered into or carried out on behalf of the Company, therewith at such times and in such manner as the Company may require. All properties or securities received for or on behalf of the Company, while in custody of the Agent shall be held by him, as a fiduciary trustee and shall not be used by him for any purpose whatsoever, but shall be reported upon and transmitted to the Company in accordance with existing instructions. The Company shall pay the fees for due diligence check properly arranged or as in accordance with the requirements existing at the current time. If the Company does return or refund the logpoints on any orders and cancel any orders for any reason whatsoever the Agent shall repay to the Company, whether demanded or not, the amount of any remuneration received in respect of the order which is to be returned or alternatively, the Agent agrees that the Company shall be at liberty to set-off these moneys against any moneys payable to the Agent. The Agent shall not offer to pay any rebate of logpoints as an inducement to assure with the Company. Any violation of this condition shall result in the immediate termination of his Agent’s Agreement without notice, and the forfeiture of all commission due to the Agent there under. The Agent shall keep the Company advised of any permanent changes in his address and of any personal information which he thinks the Company, ought to know. Any written notice to the Agent sent to the last known address should be deemed sufficient notice to the Agent. The Agent shall, in all time, update and submit all data and information of Users and/or GoLogers that are deemed proprietary of the Company, and to comply with Personal Data Protection Act (PDPA). The Agent is not authorized to insert any advertisement respecting the Company or any other Company in any publications whatever without the prior written approval of the Company; nor is the Agent authorized to issue any circulars or write any letter(s) to any publications respecting the Company or any other Company without first obtaining the written approval of the Company. If any lawsuits shall be brought against the Company in consequence of any unauthorized action or statement of the Agent, all costs and damages arising there from inclusive of out-of-court settlement shall be borne by the Agent. The Company shall have the right at all times to set-off any sum due to the Agent hereunder, any debts obligations or liability due or owing by the Agent to the Company, and it shall not create a cause of action against the Company that any sum of money are withheld from the Agent, when there is debt or obligation of the Agent due to the Company or likely to become overdue. The books of the Company shall be conclusive evidence of the state of accounts between the parties hereto. The Agent shall be solely liable for and shall indemnify the Company against all cost and damages whatsoever suffered by the Company in respect of any misrepresentation by the Agent to third parties and of any conduct by the Agent whether by words or deed which is outside the terms and conditions of this agreement. The Agent shall strictly adhere to all instructions, commission structures, notices, circulars, memorandum, manuals, terms, conditions and regulations of and issued by the Company relating to the Agent’s sales and/or collection and/or other activities which are deemed to be incorporated into this Agent’s Agreement as terms and conditions and are to be read as part hereof and these include those that are in force at present and those that may hereafter be issued and any amendments thereto. If the Agent attempts to or enters the service of another delivery and logistic platform or if the Company suspects the Agent is attempting or has attempted to or enter the service of another company of similar nature. If the Agent violates any of the conditions stipulated in this Agreement or any statutory requirements, directives, instructions, conditions, rules and regulations of the Company. This Agreement may be automatically terminated if, during the continuance of this Agreement, the Agent fails to produce the minimum acceptable Paying Monthly Active Users (MAU) as provided under the Promotion and Maintenance of Agent’s Agreement or by either party giving to the other 15 days written notice of its intention to terminate. The Agent hereby agrees that upon termination of services due to any stated reason by the Company, that he would not join any other delivery and logistic Company of the same nature within two (2) years. In the event of the termination of this Agreement, the Agent shall render to the Company a full account of all transactions up to date of termination, and shall hand over to the Company in good order and condition all books, records, leaflets, documents, and property of every description belonging to the Company. The Agent shall be paid a commission by the Company in accordance with the Agent’s Users’ delivery volume. The Agent agrees that the Company is at liberty to amend the commission rate from time to time by giving 15 days’ prior notice. No commission or remuneration of any kind whether on current or past business shall be payable after termination of this Agreement. Any ex-gratia payments made by the Company at its discretion shall not be deemed to be a waiver of this clause. The failure of the Company to exact and require strict compliance on the part of the Agent with the terms and conditions of this Agreement, or any part of it, or the failure or neglect by the Company to declare such default or failure to perform when same shall become known to it, shall not operate as waiver of such terms and conditions or as a release of the Agent from his obligations thereafter to perform this Agreement strictly in accordance with its terms and conditions. Nothing herein contained shall render or deemed to render the Agent an employee of the Company for any purpose whatsoever, and it is hereby agreed and declared that the Agent shall serve the Company as an independent contractor only. The termination of this Agreement is without prejudice to the Company’s right to recover from the Agent any monies which the Company might be obligated to pay as a result of the Agent’s ignorance, negligence, bad faith or fraudulence or any costs incurred by the Company as a result thereof. The Company reserves the right to amend the terms and conditions of this Agreement at any time without notice. Any notice demand or request required or permitted to be made or given under this Agreement shall be in writing and shall be deemed to have been validly served on or given by forwarding a copy thereof by prepaid ordinary post to the Company at its principal office for the time being and to the Agent either at the Agent’s last known address or email and shall be deemed to have been served on the day when in the ordinary course of post it would have been delivered or emailed. Time wherever mentioned is of the essence of this Agent’s Agreement. This Agreement shall be governed and constructed in all respects in accordance with the laws of Malaysia and the Agent hereby submits to the jurisdiction of the Courts of the States of Malaysia in all matters connected with the obligations and liabilities under this Agreement. The liabilities and obligations created by this Agreement shall continue to be valid and binding for all purposes whatsoever notwithstanding any change by amalgamation reconstruction or otherwise which may be made in constitution of the Company and it is hereby expressly declared that no change of any sort whatsoever in relation to the Company shall in any way affect the liabilities and obligations created here under in relation to any transaction whether past present or future. This Agreement supersedes all previous Agreements whether written or oral between the Company and the Agent. The Agent shall be given a 3 months’ probation period and may be confirmed with minimum 20 active users in the first quarter. The probation period may be extended until further notice on sole discretion of the company. Fourth year - 240 MAU, so far and so forth. Active users will be determined by users with at least five (5) delivery orders per week and lasts for one (1) month. The Agent must attend training and/or courses held by the Company for a minimum of 15 hours yearly divided to each quarter 5 hours quarterly. Any Agent that failed to do so shall be terminated without prior notice. The Agent must obtain an electronic device at a size of a tablet (e.g. iPad, Note). The Company shall not be responsible nor shall the Company pay for any losses and/or damages of the described device while performing tasks of the Company. The Agent shall be entitled for pre-IPO shares of the Company if and only if he is able to maintain the MAU target for three (3) years. In the event where the Agent leaves the Company for any reason whatsoever within the period, the rights to the entitled shares shall be revoked without notice. Copyright © 2019 GOLOG. All rights reserved.